Welcome to the third Traffic and Income Expense Report at Solopreneur Diaries. I decided to share these reports for a couple of reasons. I would write a similar report for myself anyway in order to analyze the success (or failure) of the month’s activities – eventually. Knowing that I’m committed to sharing the report means that I will write it in a timely manner. It forces me to stay on top of the bookkeeping, which is not my favorite thing. I love the analysis, but the data entry? Not so much. Which is why I did May’s bookkeeping this morning. Accountability. I still struggle a bit with whether or not I want to post these on the blog. 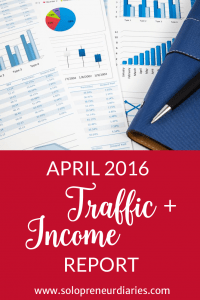 But when I looked back, I discovered the April report was one of my most popular posts in May, both from a pageview and social share standpoint. That tells me that people are interested in this information. I launched this blog on March 22, 2016, so I’m only about 10 weeks in, as of the end of May. Most months I will share thoughts or tips on a strategy or tactic in progress, or some other useful information. For example, last month, I talked a bit about my Twitter strategy. This month, there is a short section on the value of setting goals & tracking analytics. I also have a goal-setting section where I review my previous month’s goals and share some goals for the current month. Pageviews were down in May, which is disappointing. I’ve heard several other bloggers say that their pageviews were also down, so maybe that’s part of the normal cycle. Pageviews are trending up for June, so I’m not going to let this bother me. Bounce rate is up (which is the wrong direction to go in). Bounce rate measures the percentage of visitors who view one page and then leave. Time on site is also down this month from 4:48 in April. 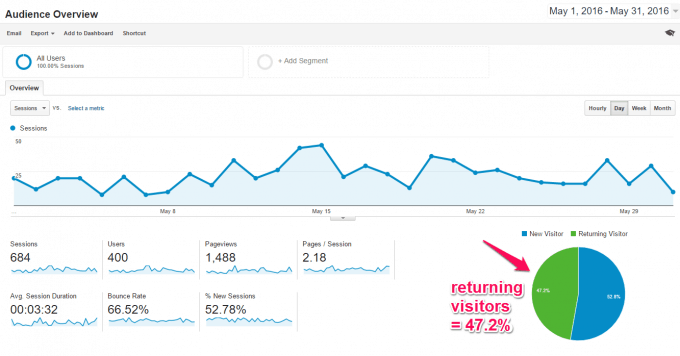 However, the percentage of repeat visitors is a tad higher this month. I would expect bounce rate and time on site to decrease with a higher percentage of returning visitors, because they are more likely to read the latest post and move on. New visitors tend to poke around and see what else is available. Social continues to be the largest driver of traffic, and in fact increased significantly over last month from 57.1% to 63.6%. Direct traffic also increased from 14.6% to 15.6%. Direct traffic is when someone types the URL into the address bar (or has the website saved as a favorite). 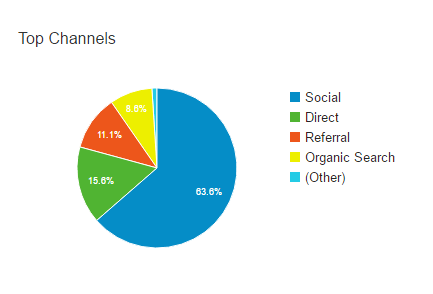 Organic search increased a bit, while referrals and “other” were both down. Facebook and Twitter flip-flopped again this month, with traffic from Facebook far surpassing other social channels. Facebook: 599 pageviews / 55.88% of social traffic (up 413 pageviews from last month). I have learned from the reader survey that Facebook is y’all’s preferred social channel, so I intend to focus more on it (in fact, I have something fun planned!). Twitter: 330 pageviews / 23.45% (down 347 pageviews). Pinterest: 143 pageviews / 22.07% (down 31 pageviews). I really think May was an anomaly, but time will tell. 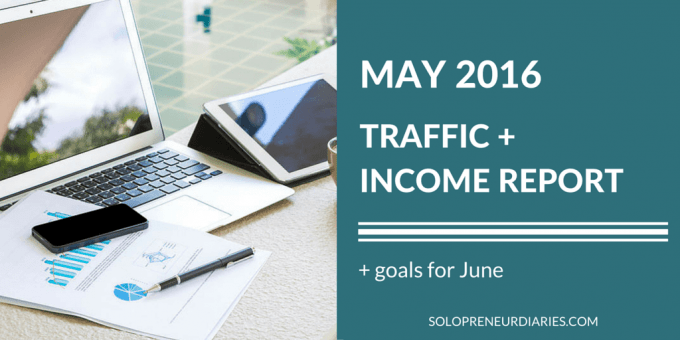 Just as last month, there is no income yet (remember – 10 weeks in business). I have started working on e-course to help solopreneurs market their businesses. Click here if you want to be notified when more information is available. 4,000 pageviews – no, I had just under 1,500 pageviews. 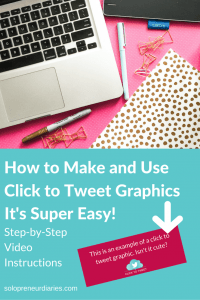 275 Pinterest followers – 299 – yay! Complete 5 modules from various training courses. Tracking goals & analytics at the level that I do can be a two-edged sword, emotionally-speaking. I’m a perfectionist and when I see goals that haven’t been achieved, that’s upsetting. However, I have to remind myself of several things. In these reports, I tend to focus on the areas that I need to work on. I have extensive goals set on a variety of metrics that I don’t necessarily go into here. For example, I’m sharing my pageview and email list goals, because I’m working on those. I haven’t shared my Facebook Fan goal, because I’m running in excess of 300% of goal, so it isn’t top of mind for me. The flip side to this is that because I do track everything in such detail, when I get discouraged (and I do get discouraged), I can look at all the results & I have a better picture of the whole. The Facebook Fan goal is an example of this. Task management reports are also helpful. If I feel like things aren’t moving fast enough or that I haven’t accomplished enough, I can look back at my completed tasks. If I look at last week’s Completed Task report in Asana, I see 39 items checked off. That helps me remember that there is a lot going on and I’m making forward movement. If your business isn’t where you want it to be on certain metrics, then take a step back. Look at the whole picture. Analyze what’s working well and what isn’t. 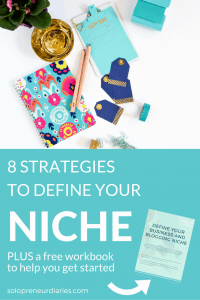 You may need to leverage something that’s working well and adjust your expectations for other areas. Having the data allows you to make informed decisions. P. S. If you haven’t completed the reader survey yet, it’s still open. I would love to have your feedback! Thanks for this! Your blog is beautiful. My blog is new too and I can see how easy it is to get discouraged. I have hope for the future too and am excited to keep moving forward. Thanks Barry! 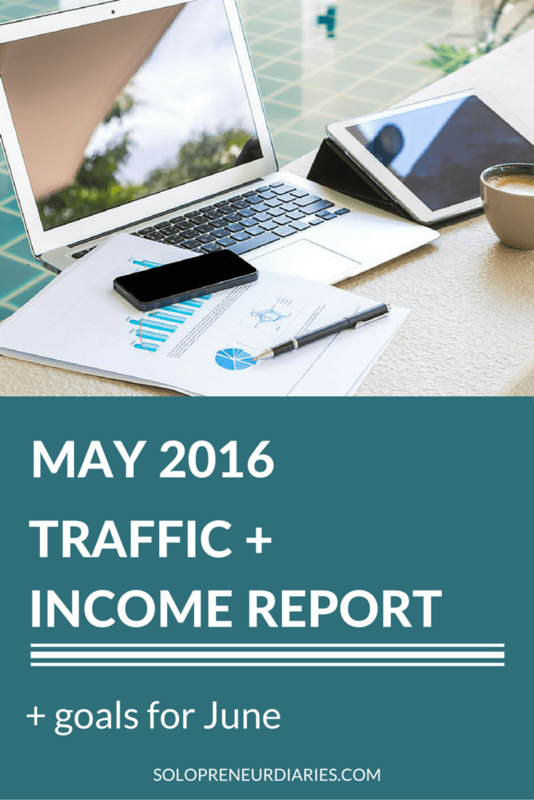 I will admit, the traffic and income reports are scary to publish. I haven’t written one for June or July, which I need to do for personal accountability.